Columbus Day is one of the federal holidays in the United States. It is observed on the second Monday in October. Columbus Day celebrates Christopher Columbus's first arrival to the Americas in 1492. Christopher Columbus's first voyage began on August 3, 1492. On October 12, his expedition reached the archipelago which is now known as the Bahamas. Exactly on which island Columbus and his people landed, is still unclear. The anniversary of this event has been celebrated unofficially since the colonial period. In 1907, Colorado became the first state to declare Columbus Day an official state holiday. In 1934, it became a federal holiday, after the proclamation by United States President Franklin Delano Roosevelt. It was initially celebrated on October 12, but since 1970 Columbus Day has been observed on the second Monday in October. On this day banks, federal agencies, most government offices, schools, and many businesses close. Actual observance of the holiday varies in different localities. In some regions, large-scale parades and events are organized. In others, no special events take place. The largest parades take place in New York and San Francisco. Four states do not recognize this holiday, they are South Dakota, Oregon, Alaska, and Hawaii. 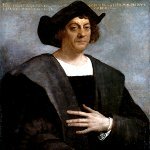 The anniversary of Columbus's arrival is also observed on its actual date in many countries of Latin America where it is referred to as Discovery Day, Day of the Race, Day of the Americas, or Day of Respect for Cultural Diversity.